In 2018, it’s easier to find a deluded wind turbine hugger, than an old-fashioned tree hugger. 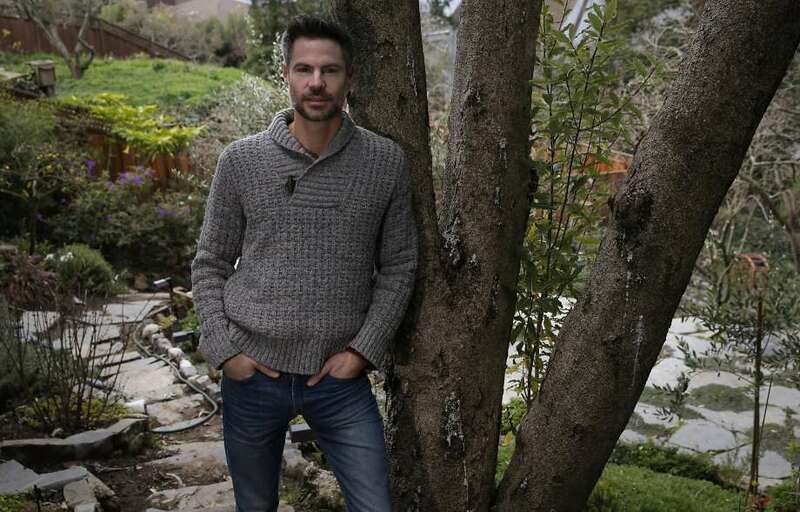 Michael Shellenberger is regarded as one of America’s leading environmental advocates, but his avowed hatred of subsidised, intermittent and unreliable wind and solar puts him at odds with his contemporaries. To the extent that carbon dioxide gas concerns him, his answer is obvious: nuclear power. That, of course, further incenses wind and sun worshippers. Not that Shellenberger seems to care. Here’s Michael poking the renewable energy zealot where it hurts: the obvious and mounting harm done to the environment by wind and solar. If solar and wind farms are needed to protect the natural environment, why do they so often destroy it? New offshore wind turbines in Germany could “lead to the extinction of individual species” including the rare, intelligent, and highly-threatened harbor porpoise, according to Friends of the Earth-Germany (BUND). Migratory bat populations, including the hoary bat, could could go extinct, say scientists, if the expansion of wind energy in North America continues. A single California solar farm, Ivanpah, required the killing of hundreds of desert tortoises, the state’s threatened reptile, and annually kills six thousand birds by lighting them on fire. Come on, you might be thinking — aren’t these impacts trivial compared to other threats? After all, house cats kill between one and four billion birds per year in the U.S.
That number makes the 16,200 to 59,400 birds killed annually by solar farms in southern California, and the 140,000 to 328,000 birds killed annually by wind turbines in the U.S., seem like much ado about nothing. However, your perspective might change — as mine did — when you learn that the birds that cats kill are overwhelmingly small and common, such as pigeons, sparrows, and robins, while the birds that the wind turbines and solar farms kill are large, rare, and threatened, like the Golden Eagle, Red-Tailed Hawk, and American Kestrel, a bird so magnificent that I named my daughter after it. And any birder will remind you that large birds of prey like raptors are slower to reproduce, and so the death of breeding adults has a far more devastating impact on populations than do the deaths of small birds. But aren’t such environmental impacts common to all forms of energy production? They aren’t. Because water, sunlight, and wind are so energy dilute, renewable technologies require orders of magnitude more land and materials to produce the same amount of energy as nonrenewables. Ivanpah solar farm, for instance, requires an astonishing 5,000 times more land, per unit of energy produced, than Diablo Canyon, California’s last nuclear plant, which has had no impact on its neighboring fish population, and whose tidal pools are some of the most pristine on the West Coast. Given how large the ecological impact of solar and wind farms has been, it’s surprising to remember that solar and wind still constitute just 1.3 and 6.3 percent of electricity in the U.S., and 1.3 and 3.9 percent of electricity globally. Renewables advocates would like to see the two technologies grow exponentially — from today’s five percent globally to somewhere between 30 and 100 percent of our electricity supply. What might the wildlife impacts of a six to 20-fold increase in solar and wind be? 95 wind farms the size of Alta Wind Energy Center, the largest in the U.S. and second largest in the world, to produce one-quarter of California’s power. 93 solar farms the size of Ivanpah, which kills 6,000 birds annually and has killed hundreds of desert tortoises to date, to generate another quarter of the state’s power. Would the impacts on birds and other wildlife increase one hundred-fold? Less? More? Nobody knows. Academic ecologists sometimes try to predict such things but the real world is too complex. What’s clear to everyone is that animal species need to sustain a certain population size to avoid going extinct, and that requires both habitat and the ability to move through space without being killed. Could these problems be avoided with better siting and technology innovation? The answer is “maybe a little sometimes” — but almost always at a very high cost. For example, we can put solar collectors on roofs instead of spreading them across deserts — but doing so doubles their cost. Bird advocates point out that it takes 45 minutes to halt wind turbine blades from spinning, which may not be enough time to respond to incoming birds, like the condor. And, even if they succeeded, the wind developers would receive less revenue from both ratepayers and taxpayers in the form of production subsidies, without which wind farms don’t get built. Those economics might explain why wind developers have fiercely resisted efforts to change where they site their turbines — and why birds and bats keep dying. Scientists and Conservationists to the Rescue? It’s no surprise that resistance to renewable energy projects is coming from wildlife biologists, conservationists, and birders. In 2013, federal wildlife officials took the unprecedented step of telling private companies that they will not be prosecuted,” The Los Angeles Times reported, “for inadvertently harassing or even killing endangered California condors,” a violation of federal law. Can you think of another instance where Friends of the Earth (FOE) — an organization that has, since 1970, fought to kill hydro-electric dams, nuclear power plants, and fossil fuel plants — has shrugged its shoulders over the extinction of a whale at the hands of a big energy project? And it’s not just FOE. Greenpeace, NRDC, EDF, and Sierra Club — which for 40 years have hyped fears that the slightly warm, clean water that exits nuclear plants might harm local aquatic life — today actively justify wind and solar deaths by hyping a) future potential bird deaths from climate change and b) that deceitful house cat comparison. Contrast the blasé reaction to wind turbine deaths by Big Green, and its enablers in the news media, to their treatment of the 2010 British Petroleum oil spill. That spill killed 800,000 birds and resulted in $100 million fine against BP. 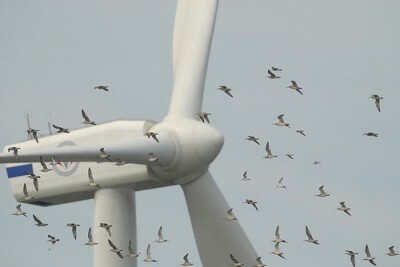 The avian death toll is slightly more than half of 1.4 million bird deaths that the American Bird Conservancy warns wind turbines will create every year — during their normal operation — by 2030 in the U.S. alone. Perhaps it won’t be as bad as that, as FOE-Germany notes — or perhaps it will be worse. It’s notable that scientists radically underestimated how many bats would be killed by Hawaii’s wind farms, which are also killing the state bird, the nene, and the petrel seabird, both of which are endangered. It is hard to understand green groups’ double standard except as a manifestation of a religious faith in renewables. Witness their outrage whenever someone questions whether the carnage is really necessary to prevent global warming. If the big green groups were more loyal to their mission than to the gods of the sun and wind they would join the American Bird Conservancy and demand mandatory regulations of the wind and solar industry to prevent the slaughter of threatened and endangered species from rising further. For these efforts to work, scientists and conservationists will need to be in favor of good energy projects, not just against bad ones. Few places in the world better dramatize the radically different environmental impacts of nuclear versus renewables than California, home to both Ivanpah and Diablo Canyon nuclear plant. Many of the conservationists who signed the 2014 pro-nuclear statement signed several open letters urging Gov. Jerry Brown not to close Diablo Canyon. But time is running out. As the wildlife death toll from renewables rises, California is moving forward with plans to close Diablo Canyon and replace it with a mixture of natural gas and electricity from — you guessed it — new solar and wind farms. Genuine tree-hugger pokes RE zealots where it hurts. When behavior looks insane, look for other motivations. Big green groups have not been loyal to their stated missions for four decades or more. Big green groups are loyal to their donors, from whom their marching orders come. Not their members. Their *DONORS*. More specifically, the donors behind the donors. Money goes to charitable foundations, which are (in many countries) not required to disclose their donors and then funneled from those foundations into big green groups, but the marching orders come with the donations. The marching orders say, oppose nuclear because it shrinks market share for big gas. The marching order say favor wind and solar because it guarantees that just as much gas will be burned, as if one simply switched to gas. Who cares if it reduces CO2. Ask yourself, why has there been a seemingly endless supply of money available to fund the opposition to nuclear power for the last 40 years, when most of the population actually favors it? Ask yourself, if the anti-nuclear movement is right, why do they tell so many lies? Material that is highly radioactive decays into something else quickly. That’s what it means. Materials are never both highly radioactive and long lived. Yet how often do they claim “highly radioactive forever”? And isn’t it odd that in the U.K., the Royal Society for the Protection of Birds (RSPB) is one of the heavily PRO-turbine organisations, while their National Trust, instead of protecting the countryside, actively encourages it to be carpeted with ruinables? If Victoria continues at this present rate with it’s VRET ‘Vandalism Target’, there will be nothing left worth saving! If Bill Shorten’s Labor Party wins the next election, then this ‘Vandalism Target’ will be adopted Australia wide!